How much does it cost for a consultation about my situation? Answer: There is absolutely no cost for your first, confidential, assessment. You can tell your story in your own words and we will assess your situation and advice you accordingly. There is never any obligation for you to hire us as your representation. We will advise you on your injury and you can go from there. If I hire your firm to represent me, how do you get paid? Answer: We operate under a contingency fee structure so you are not required to pay a retainer or fees for other services such as disbursements (money we spent in order to fund your claim) as long as your case can be settled without going to trial. Therefore, our fee comes from the defending insurance company at time of resolution whether trial or settlement. Should I sign anything before consulting a lawyer? Answer: No. You should never sign anything until you have spoken to a lawyer who represents your needs and not anyone else’s. Only a lawyer working on your behalf is concerned about you and your rights. Do not ever sign anything until you have informed, legal advice from a qualified lawyer who works on your behalf. This person should be a member in good standing with Law Society of Upper Canada. What does “No-fault” insurance mean and how does it apply to me? Answer: No-fault insurance applies to any accidents where the insured claims accident benefits from his or her own insurance company even when the accident is caused by that person. These are called Accident Benefits. Therefore, if you were injured in a car accident and you were at fault, you are still eligible to receive accident benefits from your own insurance company. If you were not at fault for the accident you are eligible for accident benefits as well as a tort claim. Answer: Tort refers the person who is at fault for the accident. If you are not at fault for your accident you can make a tort claim against the individual who caused the accident. As stated above, you are also eligible to receive Accident Benefits. I was injured in a slip and fall accident not a motor vehicle accident. What compensation am I entitled to? Answer: If you have sustained an injury in a slip and fall accident, you may be entitled to compensation for pain and suffering, referred to as general damages, loss of income and loss of ability to earn income, housekeeping and home maintenance expenses and any healthcare expenses not covered by OHIP or other sources. Your entitlement to compensation for this type of injury will depend upon the circumstances of your fall. (Contact Us) to make an appointment so we can advice you on the best course of action for your specific situation. What is a deductible with regards to a tort claim? Answer: A deductible is the amount of money that and insurance company does not have to pay you from any award for general damages that a jury might award you or from an agreed assessment of your general damages (pain and suffering). For example, if a jury awarded you general damages in the amount of $75,000 the insurance company would only have to pay you $60,000 if your accident occurred between November 1, 1996 and September 30, 2003. The deductible is $15,000. However, if your accident occurred after or on October 1, 2003 the deductible is $30,000 unless the jury awards you $100,000 or more in which case there is no deductible. What does it mean to “meet threshold”? Answer: The term “threshold” is a verbal description of those injuries that are sufficiently severe to be entitled to an award for pain and suffering. The definition changes under the various versions of The Insurance Act, and the date of your accident determines which Insurance Regime applies. In a very broad sense, you must satisfy the Trial Judge that you suffer from a serious and permanent impairment of an important physical, mental or emotional bodily function that is ongoing in nature. It is important to understand that it is a complex set of facts particular to each case that leads to the conclusion that your injuries pass the threshold. There are many factors that have to be considered, including but not limited to the injury itself, any impact on employment and education, as well as the degree to which the impairment(s) affect social and recreational activities. Is my family eligible for compensation even though I was injured? Answer: Yes. The Family Law Act provides for recovery to some extent for the loss of guidance, care and companionship as well as certain out of pocket expenses. Additionally, the Accident Benefits insurer (most often your own insurance company) pays certain expenses to family members. How long will it take to complete my lawsuit? Answer: The time to resolve your lawsuit varies considerably. It varies greatly, depending on the number of people involved, the nature of the injuries and other pecuniary damages, insurance coverage issues and even the personalities involved i.e. the particular insurance company or companies, the adjuster, and eventually the lawyers themselves. Every effort is made to resolve your lawsuit in a timely manner, but please keep in mind that certain injuries, impairments and losses take time to mature or manifest themselves. The best resolution is not always the fastest. Each case is as unique as the person injured, and no hard and fast rule applies. When we start our day, we don’t usually think about the idea that we may get into a car accident. When learning how to drive most of us are taught how to prevent and avoid car accidents. However, the one thing that many people don’t know is what to do when an car accident does occur. Car accidents are happening at an increasing rate. This being said, any driver on the road is at risk of being involved in a car accident of any severity. No matter what your role, being involved in a car accident is a very trying ordeal. However, when you’re the victim of the accident you may be left injured, confused, and presented with costs and information that you don’t comprehend. Before you get into your car the next time, read over your insurance policy. Knowing what your responsibilities, rights, and what you’re protected from will better prepare you in the case there is an accident and you need to report a claim. If something isn’t clear in your policy or you believe that you need further coverage, contact your insurance provider right away to have it adjusted as necessary. If you have been involved in an accident you should immediately report what has happened to the police and your insurance provider. If you do not report the accident to the police or your insurance provider within 7 days you may not be eligible to be compensated for the damages and/or injuries incurred. No matter how little or much damage there is to your vehicle, who is at fault, or the types of injuries sustained, it’s critical that you report the accident as soon as possible after it has occurred. To make things easier going forward, try to collect as much information as you can in regards to the accident. The more information the better! Evidence and information such as the names of those involved, contact information, insurance information, the model and make of the car, license and registration, location, date, time, if there were any injuries present at the time of the accident, and pictures. Having all of this information documented will make things easier for you, your insurance provider, and lawyer if you decide to file a case. 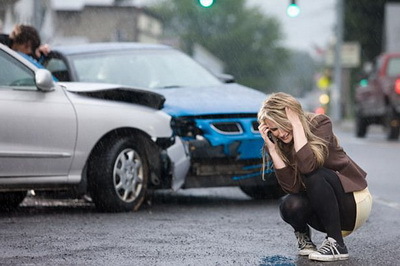 Once the accident has been reported, your insurance company will review the situation. Once they have done that they will contact you to inform you of who is at fault, the amount of money you can expect to receive from your claim, and the next steps. If you have sustained injuries or damages that you believe should be compensated further you should also set up an appointment with Clarke Law personal injury lawyers. Many victims aren’t aware of their rights, which makes meeting with a lawyer imperative. Driving laws in Ontario allow a victim to fight for both accident benefits and compensation for vehicle damages. The team at Clarke Law has the experience and expertise to ensure you understand your legal rights and the specific legal process. If you have been involved in a car accident, Natalie Clarke can help. As a specialized personal injury lawyer with experience in car accident claims, Natalie will aggressively defend your case to get you the compensation that you are entitled to. Natalie Clarke will work side-by-side with you and give you the highest level of legal guidance to see you through to a successful settlement. She will help you with everything from filing your claim with the insurance company, to taking legal actions against the at-fault party. Every claim is different. Without an experienced lawyer working on your behalf, you may find yourself making statements or leaving out details that can negatively affect your claim. Canadians say that they are more than ready for their summer barbecues, sunbathing, and for quick dips in the pool. Remember, however, that owning a swimming pool, or a water feature like a pond or hot tub, comes with important responsibilities. During the hot months, pools can be the perfect way to cool down and enjoy the beautiful summer days. Yes, pools can be a place for fun and lots of splashing but it’s important that we remember and enforce rules to avoid personal injury accident. Not only can a pool be a place for fun, but it can also be a place where brain and spinal injuries, wrongful death, or slip and fall accidents may occur if the proper safety precautions aren’t enforced. 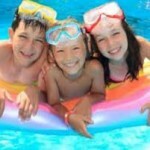 We hear it in the news almost every summer: pool personal injury accidents. According to the Lifesaving Society’s 2011 Drowning Report, nearly 500 Canadians die in water-related accidents annually. These statistics don’t even include those seriously injured from a water related accident. In addition, statistics show that teenagers and young adults at highest risk. If you own a pool you’re fully responsible for the care and safety of those using it. No matter who is using your pool accidents can happen and if someone is injured or in the worst case dies in your backyard you may be liable. This is why it’s crucial to ensure that you do everything in your power to keep your water zones danger-free. Children are naturally curious and will be drawn to a pool or pond, so installing a fence can help you breathe an extra sigh of relief. Additionally, using a gate lock or a hot tub safety cover as a precautionary barrier is an effective way to avoid accidents. Contact your insurance broker prior to installing a water zone. You need to advise your insurer of any increased risk to ensure that you have protection against liability. Municipalities have different safety regulations; so stay updated on the newest codes and standards. As the pool owner, it’s important that you ensure that anyone using your pool understands the pool itself and any safety rules. For example, show them where the deeper parts of the pool are, the easiest way to the edges. Also make them aware of any “pool rules”. For example, no running, no diving, no yelling unless it’s an emergency. No one should ever swim alone in your pool. Regardless of the level of swimming or age, pool accident oftentimes happen very quickly and having someone there supervising can be the difference between life and death. It may seem like the most obvious pool safety tip however: it is the most important. As a pool owner it’s your responsibility to not only make your pool zone as safe as possible for those using it, but also to be informed about swimming pool laws that regulate the use and ownership. In doing this, you may be able to avoid or limit your liability in the case legal action is pursued, as it shows that you took all the precautionary measures you could to make your pool zone as safe as possible. Ontario has specific laws in this area in place where the legislation states that a person in control of a property (i.e., a pool) has a duty to ensure that there is reasonable care in place to see that tenants and visitors are reasonably safe. A lawsuit for a pool related accident transpires it may be settled by homeowner’s insurance, which can have coverage to protect homeowners from third party injuries on their property. 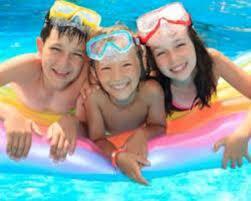 Pool users should also be aware of their rights in a water related accident. In the case of wrongful death, brain or spinal injury, or a slip and fall accident you have the right to be compensated for the injuries incurred. If you are seriously injured on someone else’s property where safety precautions were not enforced you have the right to pursue legal action. Residential, commercial, and public property owners have a responsibility to maintain their property and ensure it is safe. When the property owner does not take reasonable care, the law requires compensation to the victims resulting from negligence. No matter what the negligence is, victims are entitled to compensation under Ontario law. If you or a loved one has been injured in an accident involving someone’s unsafe property in Ontario, Clarke Law can help. As an experienced personal injury lawyer in Toronto, Natalie Clarke has experience dealing with premises liability and occupier’s liability claims involving negligence. Contact the Clarke Law team today! About 100 million meals are eaten each day in Canada. Food travels a long way and through many hands before it hits your plate – often from the farm, to the processor, the distributor and to the retailer. Canada has a strong food safety system. The food industry is required to have strict food safety measures in place to minimize potential risks and product liabilities. When these measures are applied effectively, they help reduce food-related injuries and illnesses. But food-related illnesses can and do happen. It’s important that Canadians be informed quickly of the food and products that may be contaminated. Being informed will prevent you or a loved one from incurring an injury from a defective or contaminated food product. 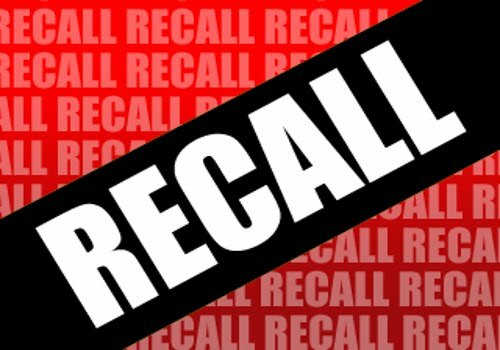 When a food product is released that could cause serious health consequences if consumed, there will be food recall warnings released publicly similarly as other products (i.e., cars, toys, furniture). However, sometimes this is not timely enough, making it critical that you have the outlets available to you to be informed immediately if a recall is issued to protect yourself and loved ones as successfully as possible. 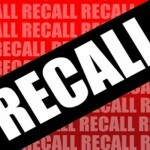 The Canadian Food Inspection Agency (CFIA) along with other news media outlets (i.e., radio stations, social media platforms, news television stations) will issue food recall warnings. Once a potentially unsafe food product is identified and the public is alerted, the CFIA will verify that the recalling firm has contacted all of its providers, distributors and retailers and has removed the recalled products from store shelves. Depending on the level and reach of the risk, various news outlets will alert the public nationally, regionally and/or locally. These alerts can usually be found on the radio, news stations, official websites, email alerts, Twitter, RSS feeds, widgets and mobile apps. This being said, it’s smart to sign up for notifications from a couple news channels via email alerts, Twitter, Facebook, or live news feeds that can give you an immediate update if there has been a food recall issued. Signing up for food recall warnings and allergy alerts is an easy and effective way to stay informed and safe from unsafe food products. Defective consumer products – from furniture and electronics to food, clothing and vehicle parts – can cause serious injury and in some cases, fatality. Distributors must ensure product safety before releasing a product into the consumer market and show reasonable proof of safety status. If you or a loved one has been injured due to a manufacturer or retailer’s negligence, they are entitled to compensation. Every manufacturer owes the user of a product a duty to catch defects before they hit the marketplace and maintain a standard of quality in their production. At the same time, retailers have a duty to only sell or distribute a product that is verified to be safe. If the designer, retailer or manufacturer has failed to provide such standards of care, then they are legally responsible for any resulting losses in an injury or fatality. As an experienced personal injury lawyer in Toronto and throughout Southern Ontario, Natalie Clarke has handled cases concerning dangerous products unsafe food products (contamination caused by bacteria or chemicals). If you or a loved on has been affected by unsafe food products, call her today for a free consultation to see how you can be compensated for the personal injuries incurred. Long before the backyard rinks thaw and the snow banks melt, eager Canadian drivers begin planning their spring road trips. Garage doors will soon open, ready to tackle the warm weather and the open road. Here in southern Ontario we are still very much in the Polar Vortex that our Canadian winter season has brought us this year. Although it is not time to put the summer tires back on our vehicles, the Clarke Law team wants to remind drivers that your tires can never be assessed too often. This being said, before you leap for joy when it is time to say goodbye to winter, ensure that your summer tires are assessed before putting them on the road. Having your tires assessed on a regular basis can prevent unnecessary and catastrophic accidents due to unexpected tire issues on the road. An unexpected tire blow out can not only put yourself and others in danger physically, but can also put you at risk of a lawsuit after the accident. To ensure that your vehicle is road safe, it is important to outfit your vehicle with the proper tires and have them assessed regularly. In order to ensure that your tires are appropriate for your vehicle, it is important to choose tires that suit your vehicle style and your driving needs. 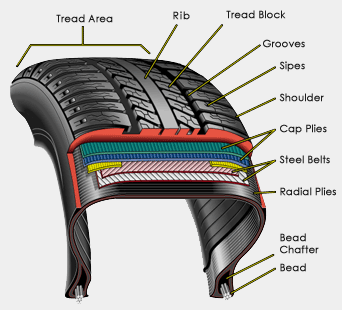 If you don’t know what tire is appropriate for you and your vehicle, here is a guideline to what may work for you. *Remember it is always best to speak with a tire expert when purchasing your tires to ensure your making the right decision. If you drive everyday to and from work, a high performance, all-season tire with center rib block and multi-sipe design could be the right choice for you this spring. These types of tires provide excellent traction on a rain-soaked or dry road, which will keep your commute safe. Drivers who are driving larger vehicles with multiple people should look for high-quality and dependable tires to keep everyone on the road and in their vehicle safe. High-quality and dependable tires guarantee longer tread wear, optimal traction and the low noise levels needed for a family vehicle. Tires for a “road warrior” (someone who is driving a sport vehicle) need to be ultra-high performance. Ultra-high performance tires allow for drivers to have superior handling on the roads. In addition to ensuring that you have the right tire for your vehicle needs, it is important to have your tires assessed regularly to ensure that you’re keeping the roads safe and avoiding potential lawsuits. Just as our feet get sore after walking long distances, the tires on our vehicles get worn down a bit each time we drive. It is inevitable that our tires will wear out overtime. Having your tires assessed by a mechanic is the best way to ensure that they are not worn out however, if you want to assess your tires more regularly there are certain things you can look for. Tread. The tread on your tires should never fall lower that 1/16 of an inch (1.6 millimeters) in depth. If your tires are below this depth it means that your tires will not be safe on the roads and you should replace them. Cracks in the sidewall. Cracks in the sidewall are another indication that your tires are no longer safe, have a leak in them, or are close to blowing out. To check for cracks in your sidewall you want to check to see if there are any grooves that are distinct enough to be noticeable to the naked eye. If you notice these grooves or cracks, it is time to replace your tires. Bulges. Bulges are another sign that your tires are worn out. A bulging tire means that the exterior surface is weakening. This bulging means that you could experience an unexpected tire pop while on the road and cause a serious accident at anytime.